Earlier this week, Yamaha Music Australia (YMA) was proud to announce that they had undertaken representation and distribution of world-leading bass amp brand, Ampeg, in Australia. Yamaha Guitar Group Inc. (YGG), U.S. subsidiary of Japan-based Yamaha Corporation, acquired the AMPEG brand on May 10th 2018. Co-president of YGG Marcus Ryle commented at the time, “We couldn’t be more excited. 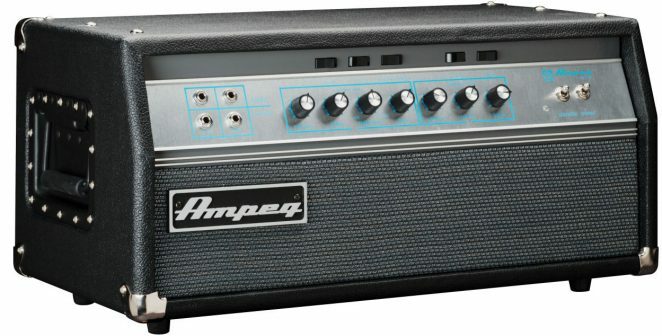 Ampeg is arguably the most recognised bass amp brand in the world. They can even be credited with having invented the first bass amp. We are honoured to take the baton in continuance of that legacy.” As the Australian subsidiary of Yamaha Corporation and sister company of YGG, it is a natural progression for YMA to take on the local Ampeg agency. The iconic Ampeg brand and product line-up is a complementary fit with YMA’s existing suite of products and brands, broadening its offer of solutions for guitar and bass players. With the company brand portfolio now including Yamaha, Line 6, and other leading brands, its position as the leading wholesaler in the Australian musical instrument market is further solidified.